Just as luck would have it, I’m participating in another challenge this October, the October Horror Movie Challenge. It gives me an excuse to watch all the movies I’m usually too chicken to watch under the excuse of “research” for my horror comic. That being said, I did this while watching Cabin in the Woods. I’ve always been inspired by the fabulous inking style of Colleen Doran, so I tried to use some of the technique I’ve observed in her art while doing this. Note: Horror movies are rubbish to watch while inking because the jumpscares always screw up my lines. It’s a bit like trying to ink on a plane where someone keeps bumping your elbows. Again, feel free to post links to your inks after this post, or critique mine! If you want to join in, go on ahead. 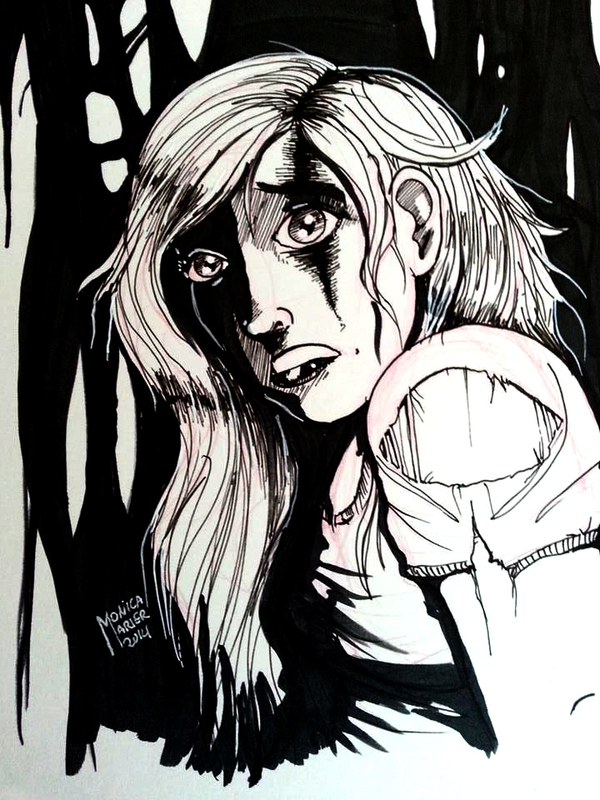 Additionally, if you see an inks of mine that you like, they are available for purchase. Email me through the blog contact form if interested. International shipping will be charged extra for outside US rates.